ALL SYSTEMS IN STOCK NOW FOR 24hr COURIER DELIVERY IN THE UK! Please choose the Saxsport option you would like from the drop down menu. When your payment has been received, an email will be sent to you by Paypal to confirm we have received your order. If you have any questions about your order then please email us and we will be glad to help. We accept all major credit/debit cards via Paypal - the secure online payment service. 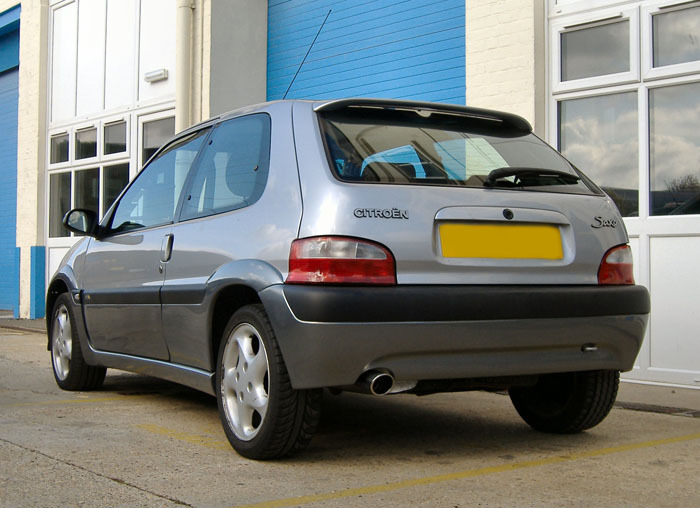 We commissioned Scorpion Exhausts Ltd to design and manufacture a custom specification exhaust system, based largely on the highly successful Pugsport, to fit the Citroen Saxo VTR & VTS models. The specification was to be a lightweight, very high quality stainless steel system, that produces more power and torque than the standard exhaust. It had to be silenced to a suitable level for road use. It has to give proven performance gains and the design of it has to suit the car's image. It needs to be easy to fit and not require any modification to the standard car. 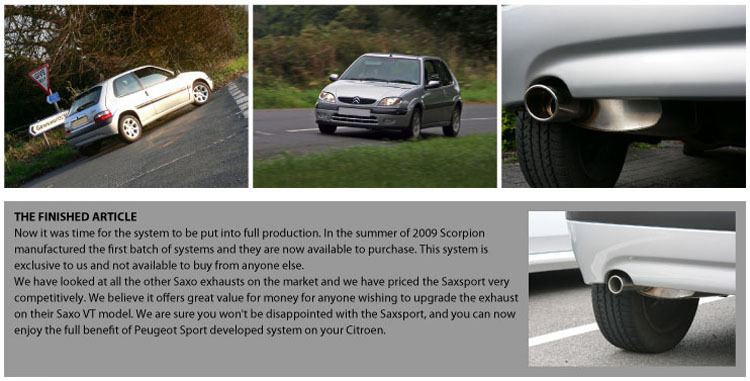 Design of the system began with us supplying Scorpion with a standard specification Saxo VTR (phase 2) test car to build the exhaust on site at their factory in Derbyshire, UK. A critical stage of the development was to subject the prototype components to a series of tests on the dyno (rolling road) to check the actual performance. Firstly, the standard VTR with the standard exhaust system was tested to give us some base power/torque figures to compare to. The car was then fitted with the Scorpion prototype system and we did some extensive back to back power runs. In addition to the dyno runs we also subjected the car to "on the road" tests to see how the system performed whilst driving, and tested both the 'Road' and 'Race' tail pipe versions. The dyno testing was a huge success. 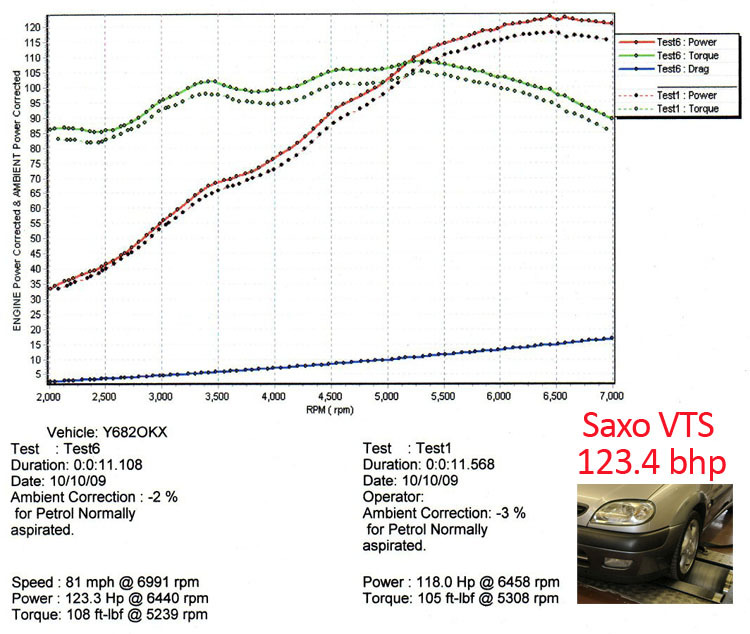 The prototype system was consistently producing 111bhp (peaking at 111.6bhp) showing a good increase in power and torque over the standard system (which produced 106bhp on the same dyno). On the road tests backed up the dyno results and the increased power was noticeable in daily driving, matched with a purposeful but not chavvy exhaust note. Once we were happy with the final design our test car was subjected to 6 weeks of extensive road use. This was to ensure the exhaust performed in a variety of different environments and conditions that would occur on a daily basis. It was also to test the fitment of the system to make sure there were no problems in the design. The road testing was a huge success and the prototype system performed faultlessly. The noise level was spot on, and you could feel the the extra power and grunt on full throttle. The weight of the standard exhaust system on a VTS is around 15.8kgs (cat = 3.7kgs, centre = 4.6kgs, back box = 7.5kgs) compared to the weight of the Saxsport being 9.1kgs (centre pipe = 3.4kgs, back box = 5.7kgs). A weight saving of 6.7kgs, which isn't to be sniffed at really, as weight loss equals performance gain. 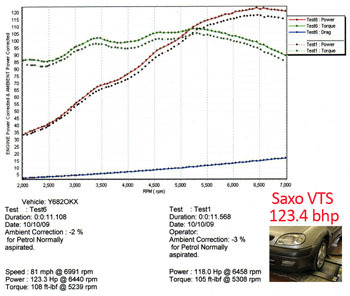 If you take the weight of a VTS as 898kgs and having 120bhp, that gives 133.6bhp per tonne. With a weight loss of 7kgs thanks to the Saxsport, the weight goes down to 891 which produces a higher power to weight ratio of 134.6bhp per tonne…in racing every little counts! 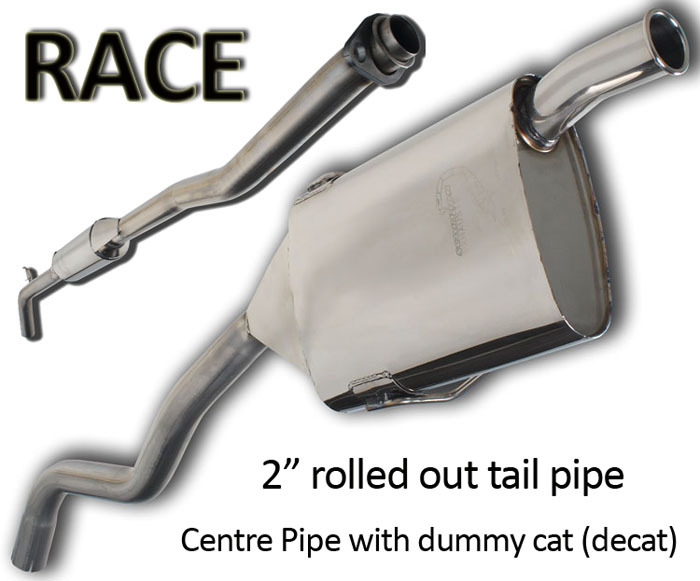 The Saxsport centre has been designed with a dummy cat silencer near identical to the Peugeot Sport Rally Team original exhaust system.The only difference is that the Saxsport dummy cat has a threaded hole to fit a lambda sensor. > Fit the Saxsport motorsport catalyst centre pipe that has 2 lambda holes. If you fit a lambda sensor to the decat centre pipe, there is a possibility of the engine management light coming on, due to the second lambda detecting “dirty” air straight from the engine, rather than passing through a working catalytic converter first. If you fit the cat pipe or use a lambda sleeve, then the warning light should not appear on the dash. Please note that the cat pipe should pass an MOT but the decat centre pipe will most probably not. IMPORTANT INFORMATION - PLEASE READ BEFORE PURCHASE! 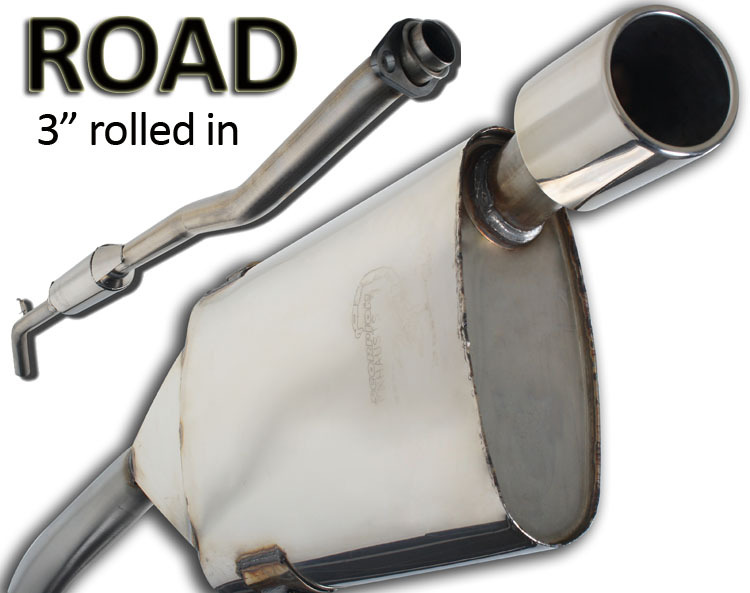 ORDER YOUR SAXSPORT EXHAUST NOW! Please choose the Saxsport option you would like from the menu below. When your payment has been received, an email will be sent to you by Paypal to confirm we have received your order. Choose your option below and click the Buy Now button to go to the check out screen. 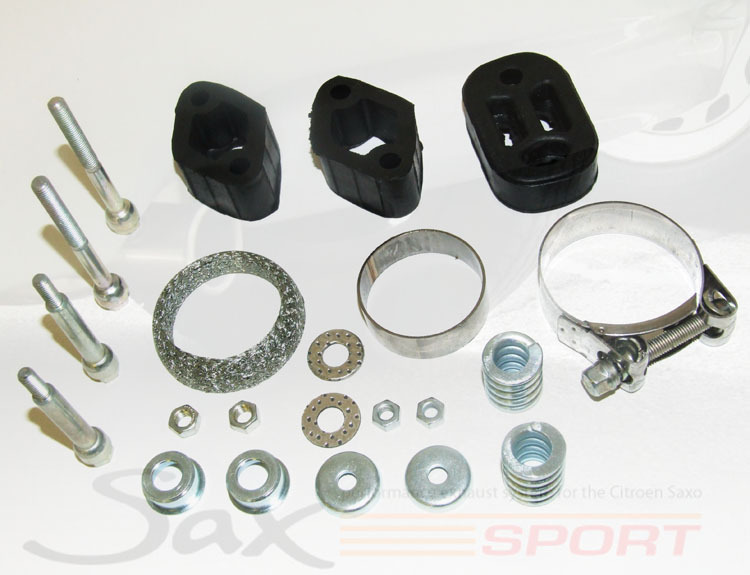 Each Saxsport exhaust is supplied with a fitting kit (shown below) that includes all you need to fit the exhaust. Below is a quick guide that gives you some useful tips and advice. If in any doubt at all please consult a professional mechanic. Raise car and secure with axle stands to enable access to exhaust system. Remove complete standard exhaust system by undoing the 10mm nuts at the downpipe to centre section joint, removing the bolts and unhooking the three rubbers along the exhaust. 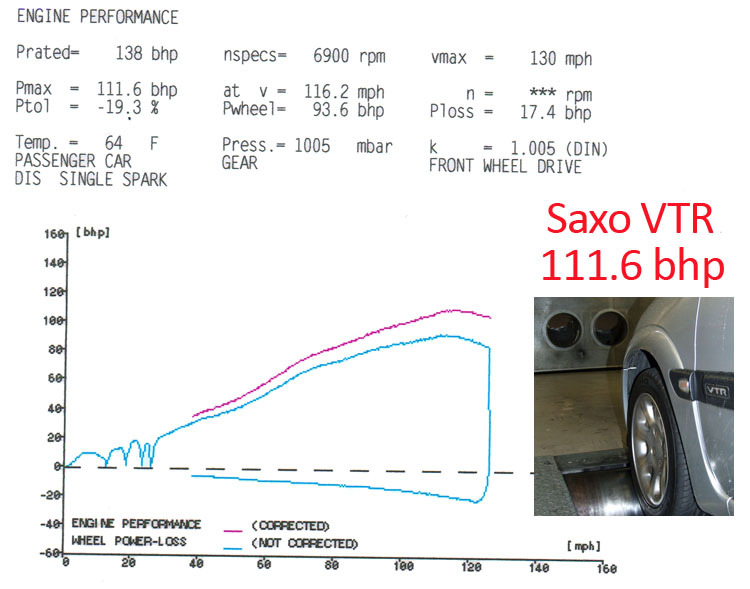 Check that the exhaust joints of the Saxsport are free from debris. Clean as appropriate. Fit back box to rear rubbers on hangers first as it’ll be more difficult to manoeuvre once the centre section is in place. Standard specification rubber mounts are supplied in the fitting kit but you can use stiffer uprated mounts if required from the likes of Powerflex. Apply exhaust fitting paste (e.g. Firegum) to the slip joint at the rear part of the centre section. Slide centre pipe fully into the back box pipe and fit rubber hanger to the centre section. The Saxsport centre pipe is supplied with a small round metal sleeve that simply slides onto the front of the centre pipe. This is supplied because there are 2 different sizes of downpipe fitted to the Saxo depending on model. Please fit this sleeve if required. Fit new fire ring to the front of the centre section. Exhaust paste is optional for this flexible joint. Loosely bolt centre section to downpipe, noting the correct orientations of the bolt, collar, washer, spring, cap and nut. Check orientation of the tailpipe in the bumper cut-out. Adjust rubbers and rotate back box and centre section as necessary. Secure centre section to back box slip joint using exhaust clamp supplied or alternative. Secure front of centre section, ensuring that here is still travel left in the springs to allow for engine movement. Start the car, idle for several minutes and check for leaks in the exhaust system. 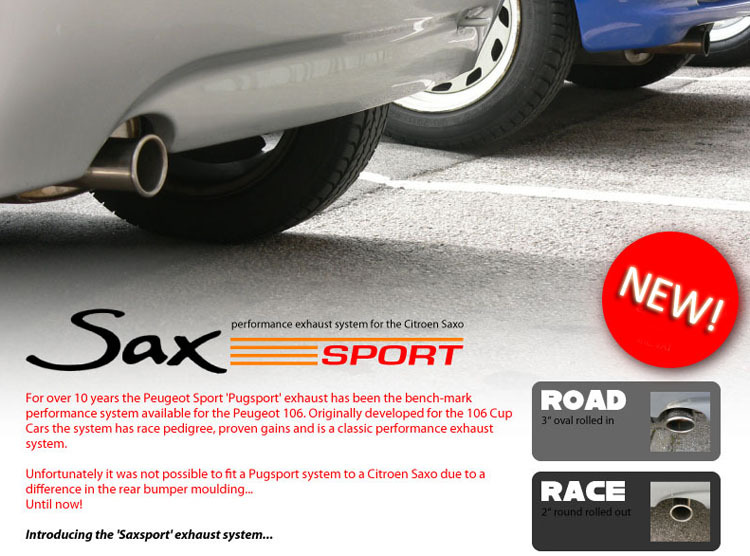 Remove axle stands, lower car back to the ground and enjoy the distinctive sound of the Saxsport! The Scorpion Lifetime Guarantee Scorpion guarantee that any exhaust part supplied by them, which fails solely because of defective materials, faulty manufacture or as a result of corrosion, will, at their discretion, either by replaced or repaired free of charge for so long as the vehicle remains in the ownership of the original purchaser of the exhaust. Any replacement parts supplied by them hereunder are automatically included in this guarantee. The purchaser's statutory rights are not affected by this guarantee. Delivery: We aim to dispatch the next working day after cleared payment has been received. If we do not have the part in stock, it will be dispatched direct from the manufacturer to the customer. Please allow up to 5 working days for delivery. If you need an urgent delivery by a certain date, then please contact us before purchase to confirm stock status & delivery time. Delivery Zones: We only deliver in the United Kingdom. We do not send to any international destinations at this time. Please note there will be a surcharge issued by our courier to certain UK postcodes and areas including Northern Ireland, Channel Islands, Isle of Man, and Scottish Highlands. You will be informed by email, of the extra amount needed. Returns & Refunds: If there are any problems with your exhaust we need to be informed within 7 days of receipt of the item. Please check your exhaust carefully when unpacking to ensure it is the right system for your car and that it is not damaged. We can exchange or refund incorrectly ordered parts at our discretion. Please be sure of what exactly you are buying before purchasing the item! Contact Information: We are an internet mail order company. We do not have retail premises at this time. You can contact us during work hours (9-5pm Mon-Fri) on our email address sales@106parts.com. We do not have a phone sales line at the moment, so if you have any questions or queries please email us and one of our customer representatives will be in touch shortly. Please be patient while we respond to your query, as we receive a high volume of daily emails.